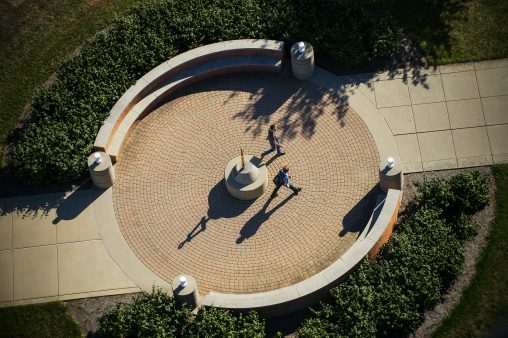 U.S. News & World Report has named Wright State University’s online graduate programs in business, engineering and nursing as among the best in the nation for 2019. The magazine based its rankings on instructor engagement with students, student excellence, student services and technology, expert opinion, and faculty credentials and training. Scores were calculated using data that the program reported to U.S. News in a statistical survey and from data collected in a separate peer reputation survey. U.S. News ranked Wright State’s online Master of Information Systems and Master of Science in Logistics and Supply Chain Management programs offered by the Raj Soin College of Business 33rd among the 156 schools responding to the magazine’s survey. The programs’ score of 70 ranked higher than those of such schools as the University of Cincinnati, Syracuse and Oklahoma. The specialized programs offer a hybrid approach through on-campus and online learning experiences. Each class has one full day of residency then five weeks online, with students taking one class at a time. The programs enable students to continue working full time while obtaining their master’s degree in just one year. The online MBA program ranked 175th, with a score of 53, out of the 232 schools responding to the survey. The online Industrial and Human Factors Engineering Program offered by the College of Engineering and Computer Science was ranked 41st among the 74 respondents. The program’s score of 64 ranked higher than those of schools such as Clemson, Duke and Villanova. Online and on-campus students are integrated in the Master in Industrial and Human Factors Engineering Program, experiencing the same lectures, assignments and instructor interactions. Program graduates work in industries such as automobile, aerospace, health care, military, logistics and supply chain, retail, defense contractors and many others. Brian Rigling, interim dean of the College of Engineering and Computer Science, said the development, maintenance and offering of these online programs represents a major investment of time and effort by faculty in response to student demand for more flexible pathways to degree completion. Frank Ciarallo, associate professor of biomedical, industrial and human factors engineering, said the online format provides course content to enrolled students with as little as an internet connection and a computing device with a screen. He said one reason for the high ranking from U.S. News is the faculty’s ability to engage students effectively in the online mode. Online graduate programs offered by the College of Nursing and Health were ranked 126th, with a score of 60, out of 141 respondents.